Karen’s cover reveal is here! Get ready for a great women’s fiction suspense coming your way in August 2015 from Thomas Dunne/St. Martin’s Press. A haunting story about the destructive power of secrets, this accomplished and gripping suspenseful women’s fiction debut is perfect for fans of Lisa Scottoline and Heather Gudenkauf. Jo has been hiding the truth about her role in her high school boyfriend’s drowning for sixteen years. 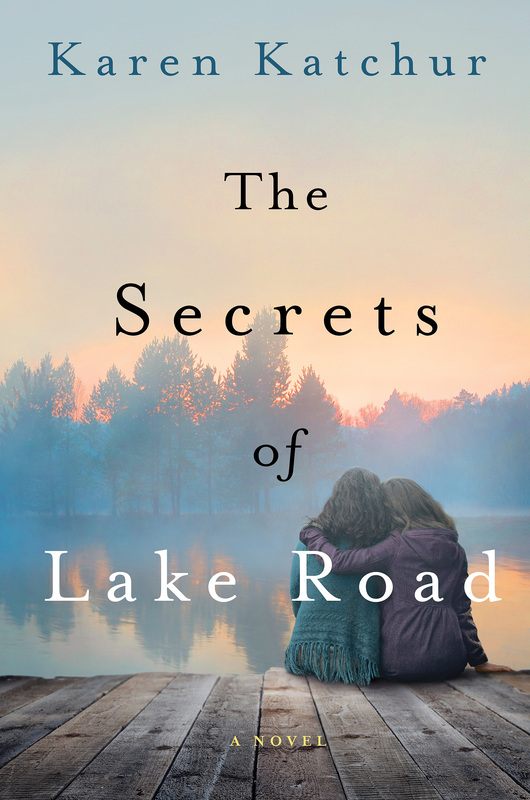 Every summer, she drops her children off with her mother at the lakeside community where she spent summers growing up, but cannot bear to stay herself; everything about the lake reminds her of the guilt she feels. For her daughter Caroline, however, the lake is a precious world apart; its familiarity and sameness comforts her every year despite the changes in her life outside its bounds. At twelve years old and caught between childhood and adolescence, she longs to win her mother’s love and doesn’t understand why Jo keeps running away. Then seven-year-old Sara Starr goes missing from the community beach. Rescue workers fail to uncover any sign of her—but instead dredge up the bones Jo hoped would never be discovered, shattering the quiet lakeside community’s tranquility. Caroline was one of the last people to see Sara alive on the beach, and feels responsible for her disappearance. She takes it upon herself to figure out what happened to the little girl. As Caroline searches for Sara, she uncovers the secrets her mother has been hiding, unraveling the very foundation of everything she knows about herself and her family. Caroline’s coming-of-age story, mirrored with Jo’s troubled teenage past, makes for an enthralling read that is impossible to put down and hard to forget.